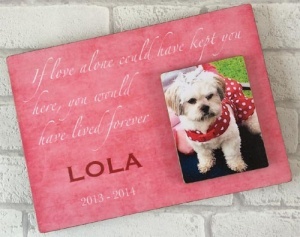 Wooden photo plaques, beautifully personalised with the text and photograph of your choice. Simply enter what text you would like, upload your chosen photo and let the skilled artist create your work of art for you. 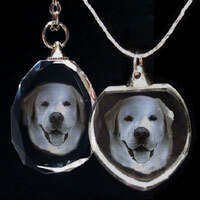 A wonderful way to capture memories forever. 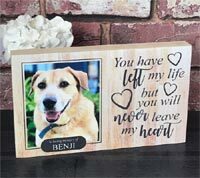 These make a unique decorative item for your home and are also a lovely way to create a keepsake memorial for a loved pet. 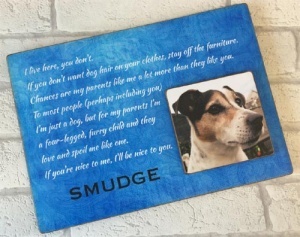 For the text you can have a short poem, quote, name, dates or anything at all. 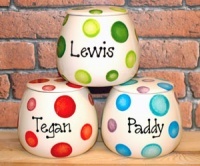 There is also a choice of colours for the patterned background. 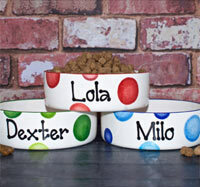 The font will be as shown in the examples or may be changed to suit an individual order if the artist feels something else would be better suited. The finish is shabby chic. 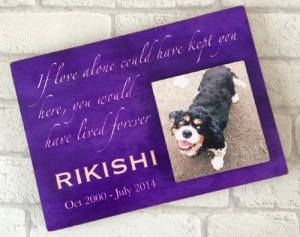 Each wooden plaque is personalised just for you and then waxed and coated. 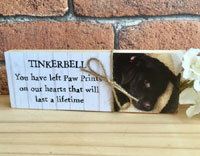 Your finished item will come complete with a D ring on the back for wall hanging. 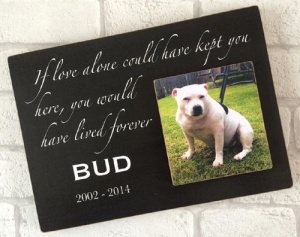 These plaques are beautifully made and a nice size. 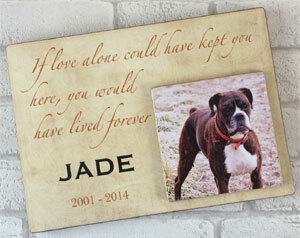 Unfortunately, we had to order 4 plaques as we have lost 4 dogs in the last few months due to old age. 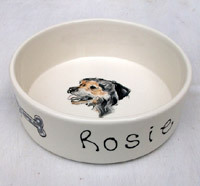 We have one dog left and when her time comes we will order one for her. 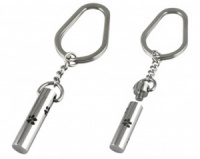 Thank you D for dog! Really beautiful wooden plaque, very high quality, fast delivery and great support. 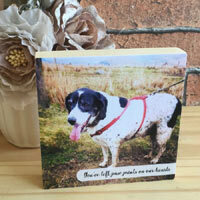 These are beautifully made and a lovely tribute to our much missed dogs. They were originally intended for the garden but we decided they were far too nice for that and have kept inside. The packaging kept them well protected in transit too. I'd definitely recommend.